Imagine that you are a hotel manager now. Great profession! But there is something special about it. Now you have to manage everything on your own. 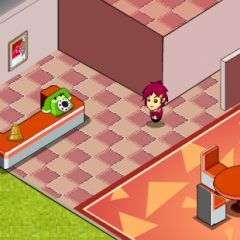 Register the customers, cook for them, extinguish the fires and earn more money to buy upgrades for your hotel! Do your best or your customers will live unsatisfied.